Tea the Story is a mod about Chinese tea culture. This mod adds six different types of Chinese tea (Green, Black, White, Yellow, Oolong and Pu'er tea) and rice crops. Hope you can appreciate tea culture in Minecraft! Because of profound Chinese tea culture, the mod is not complete yet. To get started, you can find tea seeds when you break oak leaves. Tea plant needs suitable altitude, humidity and temperature to grow. Different places are suitable to make different tea. Lemon tea can extinguish the fire around you. Milk tea can remove all the harmful effects. Yellow tea: you can't been attacked and at the same time you can't attack others, either. It's a good opportunity to run away. You can explore other effects by yourself. Almost everything can be customized in the config file. If you have problems with this mod, you could ask me for help. Click here for CraftTweaker Support. You can download the Record Resources Pack here. Without permission, please don't provide other download links. Would it be okay to start a wiki for this myself? It would help me remember how to do things when I forget. That's OK. But you know that sometimes it's a little difficult for a Chinese to translate from Chinese to English. I'll do it later. I think that you're saying I can make the wiki. You will later fix the things that I don't understand, since I'm not Chinese. 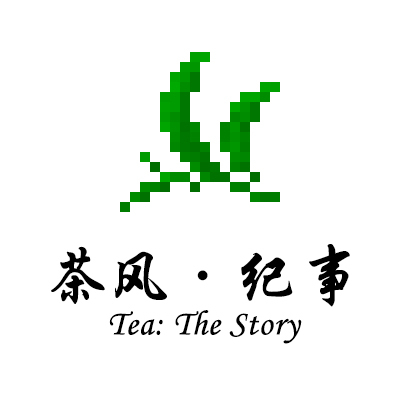 I did start a simple wiki: Tea: The Story Wiki. If I didn't understand, I'm very sorry. I don't know how to delete a wiki, but I will try if you want. I'm going to be adding things to the wiki over the next few days, but if anyone wants to help, I'd love it. There isn't much there right now. It's so kind of you. I'll help you after releasing new version. I've been really enjoying what this mod has to offer, but would it be possible to allow rice and tea to be grown in any environment through a config change? I like growing tea and rice, but the current system is preventing me from growing the crops where I want, which is on a mountain in some terraces near my house. The models for the tea cups and kettles are simplistic but very fitting for Minecraft, and I really like the brewing system set up. Thank you for taking the time to make this mod and to release it for an English audience. Thanks for your support. Growing tea is hard indeed, so I will consider it next version. Can you please make a manual on everything about this mod? I'm really clueless on how to make tea through the different processes. Please help! I feel so happy carrying tea around in the game, just like real life! Steeping the tea is very relaxing. So far I can't dry tea, though. Even in deserts. Does it need to be wet first? And how do I get it wet? Throwing it in water does not work. I can't use the pot or water pail. What haven't I tried? It needn't be wet first. That means wet tea can also be dried. If it is in rain (in the teapan), it will be wet. It takes time to dry tea, or you could try drying pan to get dried tea. Do i have to "punch" the leaves or what do i have to do? I have installed the mod on my server/client and the items show up in creativemode and in the NEI-tab. Maybe the chance is too low. I'll adjust it when I come back from school next week. Thanks for this cool mod its really interesting to make the tea and rice. My computer was broken, so the new version will be delayed. I would *love* to see some sort of special tea generation in villages. Another suggestion I had would be a villager with Chinese looking clothing that buys and sells tea and tea sets, that'd be neat. Thank you. This is a good idea. I'll adopt it. Thanks a lot, I love this mod a lot. In real life I absolutely love tea so this is perfect.